Professor Michael Buxton joined RMIT in 1998 after 12 years in senior management with Victorian Government Planning and Environment agencies, and with the Victorian Environment Protection Authority. 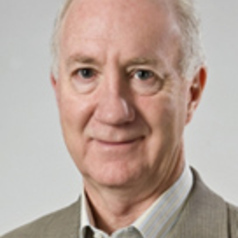 He formerly headed the intergovernmental process for developing Australia’s National Greenhouse Strategy, and the group responsible for the development and implementation of environmental policy in Victoria. He was an elected Victorian local government councillor and Mayor for ten years and was a member of the Upper Yarra Valley and Dandenong Ranges Authority for six years. He is a former lecturer at Monash University, Melbourne. Michael heads a research team carrying out extensive research into peri-urban regions, including a national study titled Change and Continuity in Peri-Urban Australia. This team’s national and Victorian studies have investigated the nature and extent of contemporary peri-urban regions in Australia; identified future patterns of socio-economic, environmental change in peri-urban landscapes; and developed scenarios for future land use and management based on 'business as usual', interventionist and deregulated options. Change and Continuity in Peri-Urban Australia was a collaborative project between RMIT and Griffith Universities, funded by Land and Water Australia.